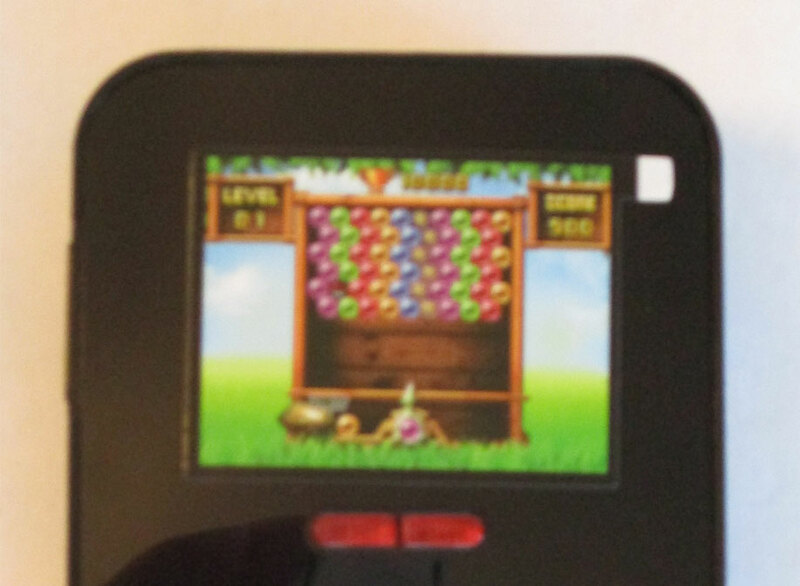 If you love arcade and console style games, you may want to pass on this device. It's games are generic and bare little resemblance to either arcade or console games from renown developers. The Go Gamer is small and light weight, but lacks immersive titles and is best suited for very casual gamers. I'm accustomed to toy stores selling the all-in-one joystick game devices with a dozen retro arcade games from Galaga to Pac-Man. Lately, I've seen a similar, yet distinctly different type of gaming device. 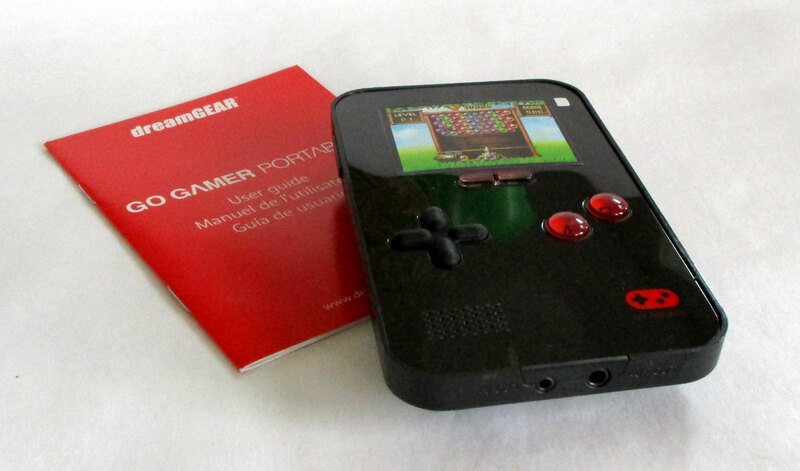 These models are portable devices with built-in games, however they are not branded or known games. Tather than licensing titles from companies like Namco, they offer clone games - lots of them. 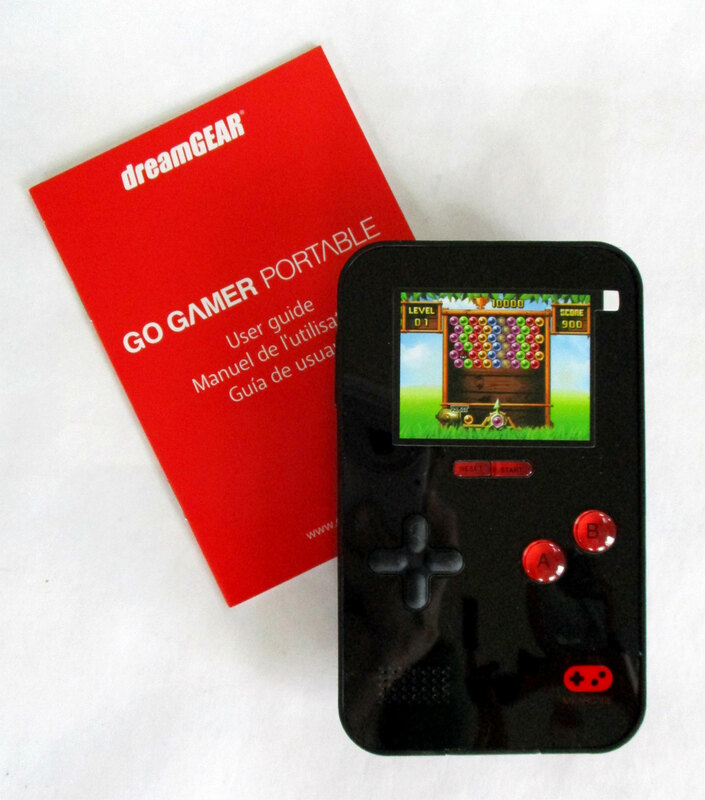 This DreamGear device touts 220 games. It sounds like a lot, but most of this large number comes from counting in-game options as "games". Thus there seem to be about twenty unique games. The sub menues within each title make up the 220. So, right off the bat there's an air of dishonesty. The front of the box containing the Go Gamer Portable console and manual. 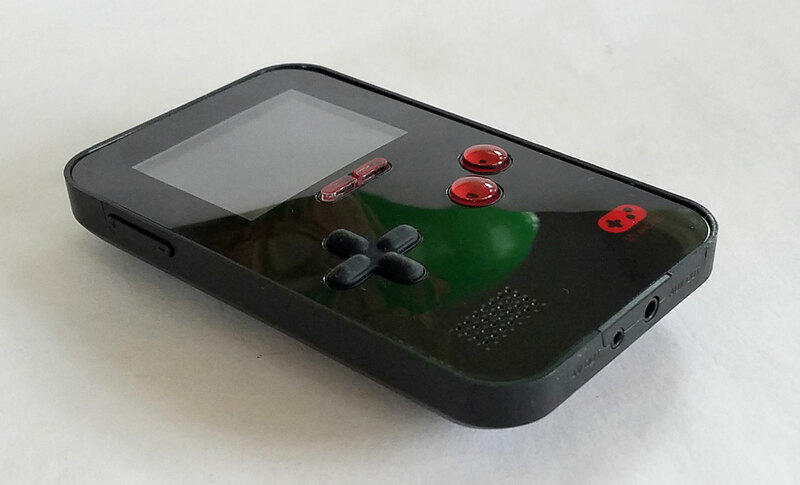 The device has a 2.5" color screen and has a vaguely "Gameboy" look to it. Side view of the Go Gamer Portable box lists some of the game genres. Puzzle, Strategy, Racing, Action, Combat, and Sports. The fold-out style of the Go Gamer's packaging entices you to open the fold-out cover to see sample screens. 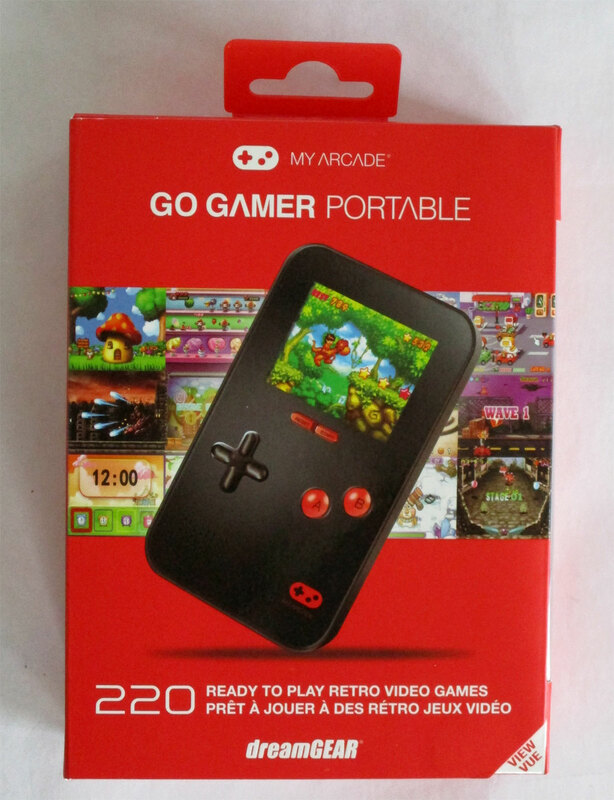 The Go Gamer Portable console doesn't not actually contain 220 games. I'd say it's closer to twenty games with variations. 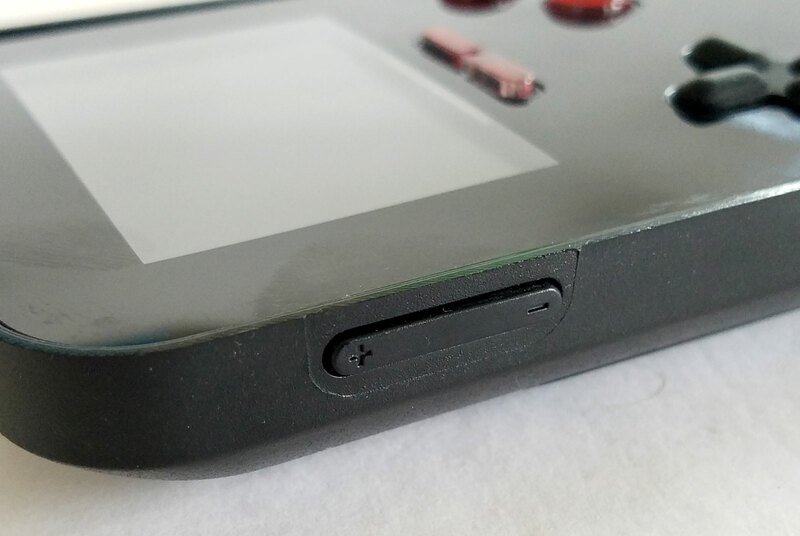 The left side of the Go Gamer Portable console showing the volume control buttons. 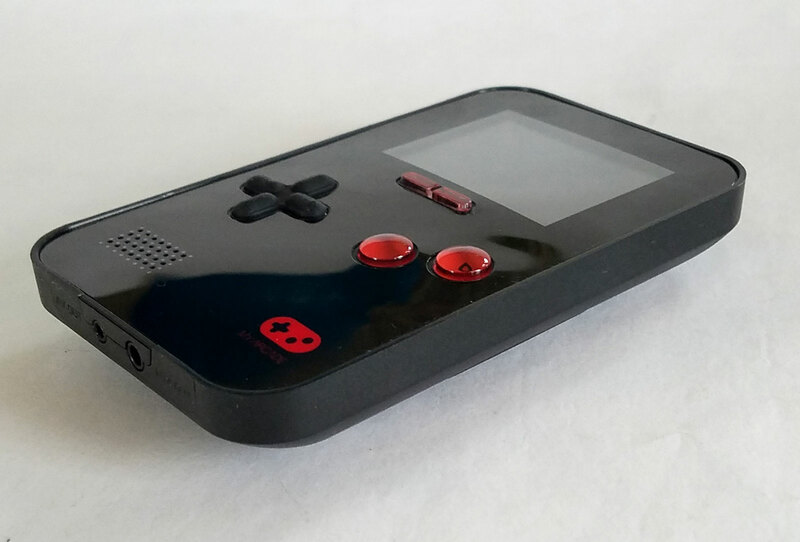 The right side of the Go Gamer Portable console. 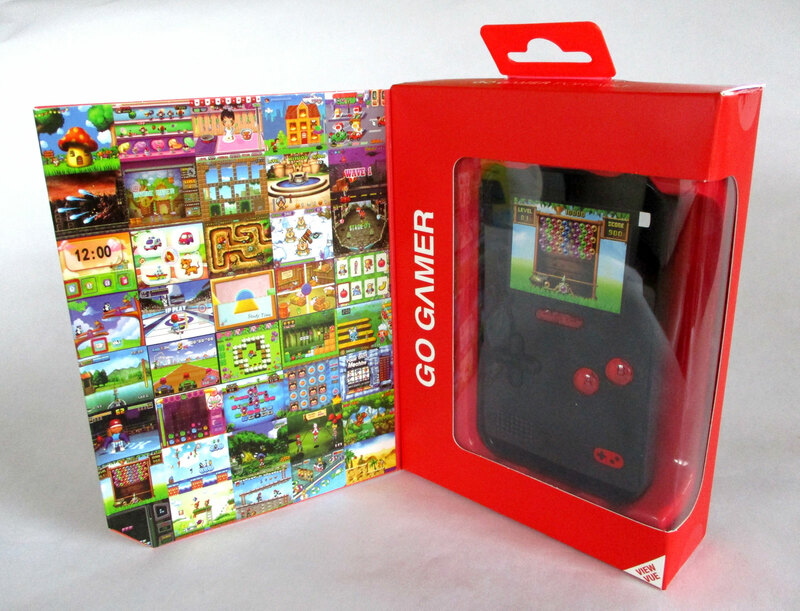 The Go Gamer Portable ships in the box with a color overlay to simulate it's color screen. 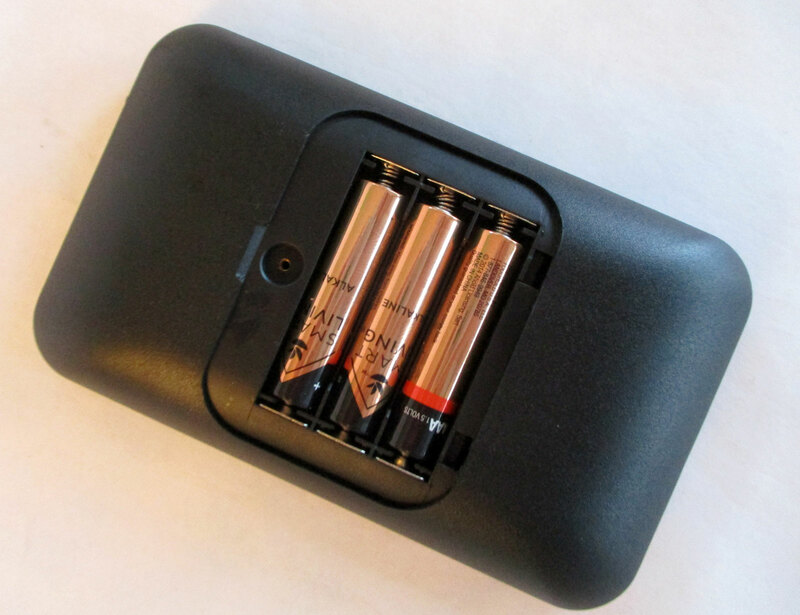 The back of the Go Gamer Portable showing the battery compartment - accessible with a screwdriver. The Go Gamer Portable comes with a manual. 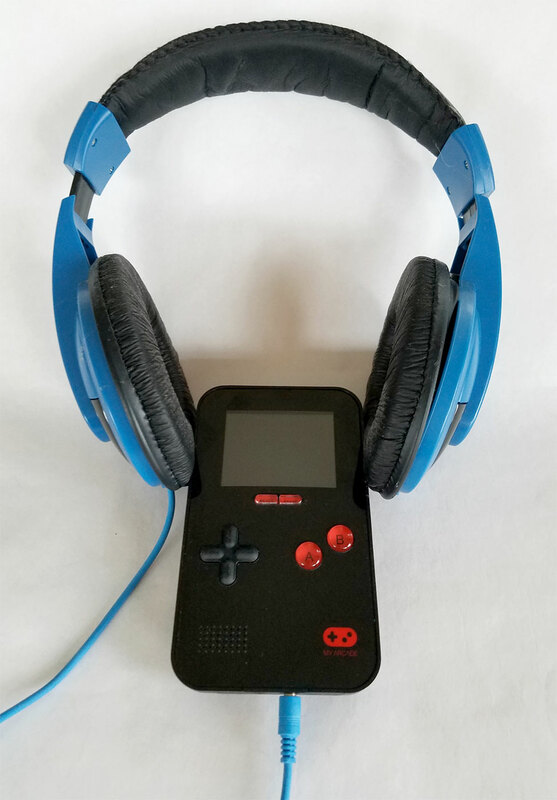 The Go Gamer Portable is quite small and very light. Without batteries, it feels feather-light. 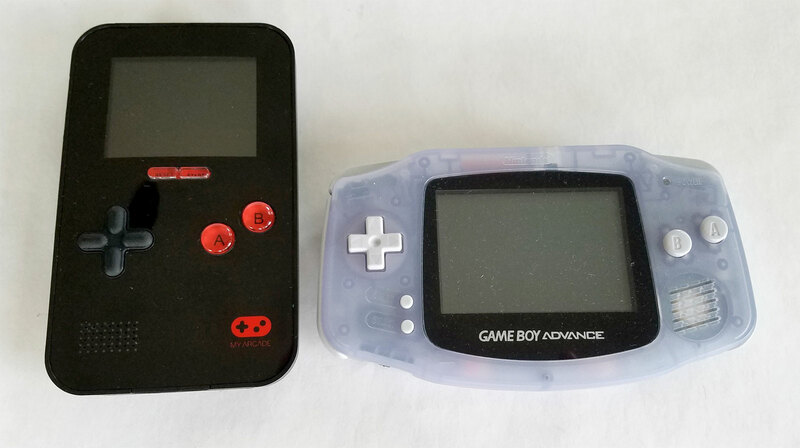 For sizing comparisons, here is the console next to Nintendo's Gameboy Advance. 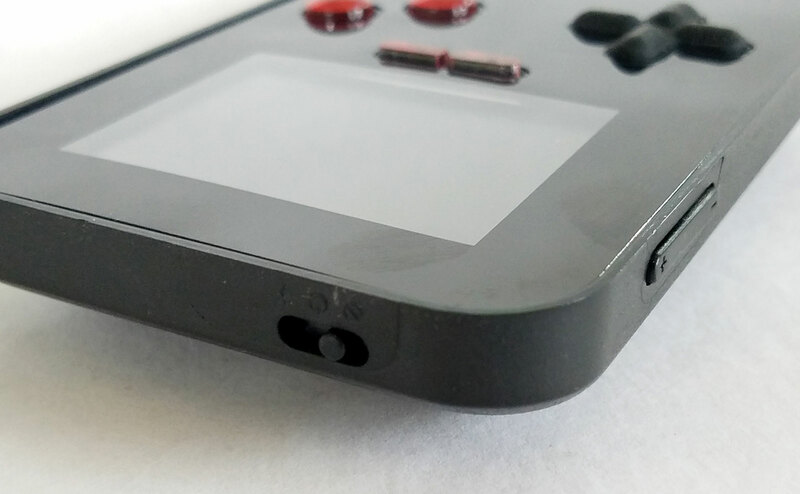 The Go Gamer Portable has volume Up and Down buttons on the upper left side of the console. 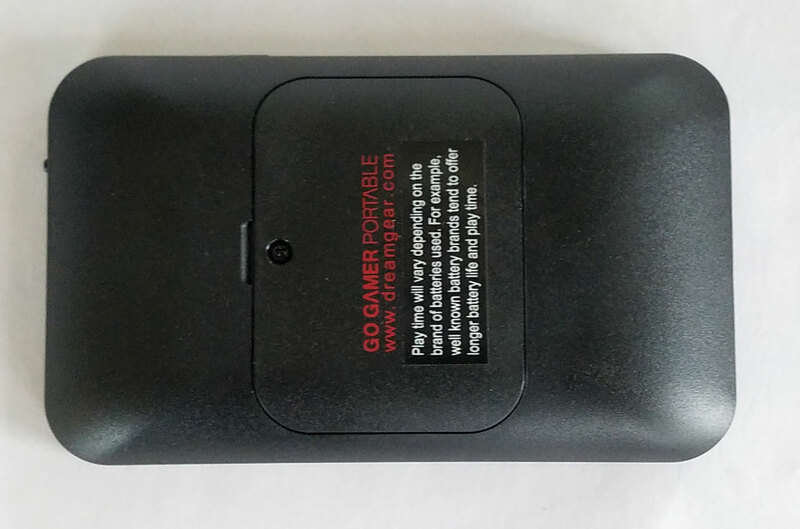 The Go Gamer Portable has a 3-way power switch with two "on" states. The first position simply turns on the console. If you slide it to the next position, the buttons and logo become illuminated. You can save some battery power by not turning on the button backlighting. 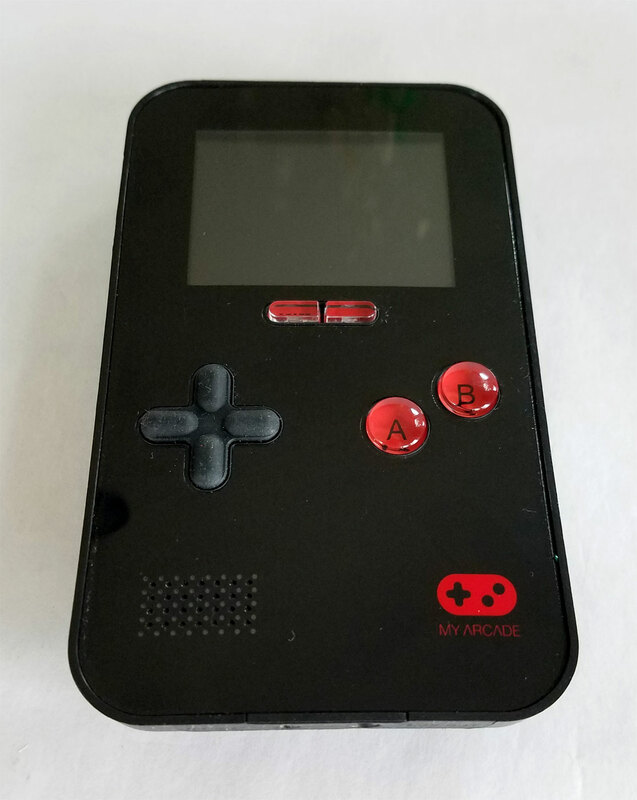 The Go Gamer Portable has illuminated buttons and logo. 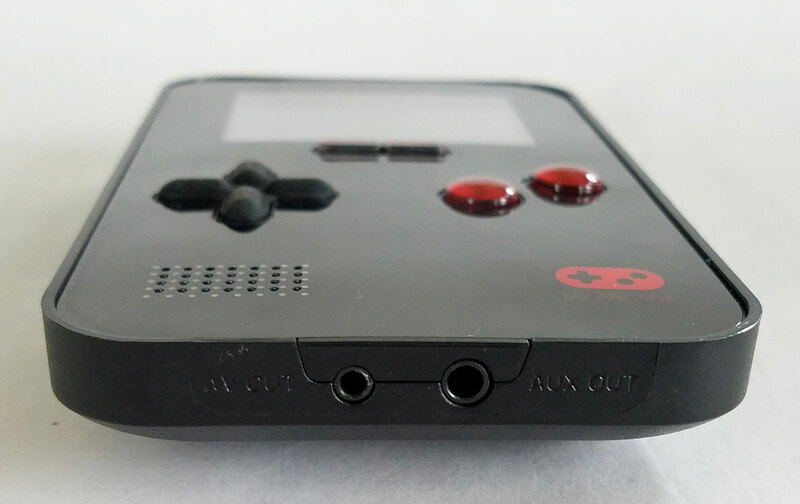 The Go Gamer Portable console features a 3.5mm headphone port as well as an A/v Out port for connecting to a TV. 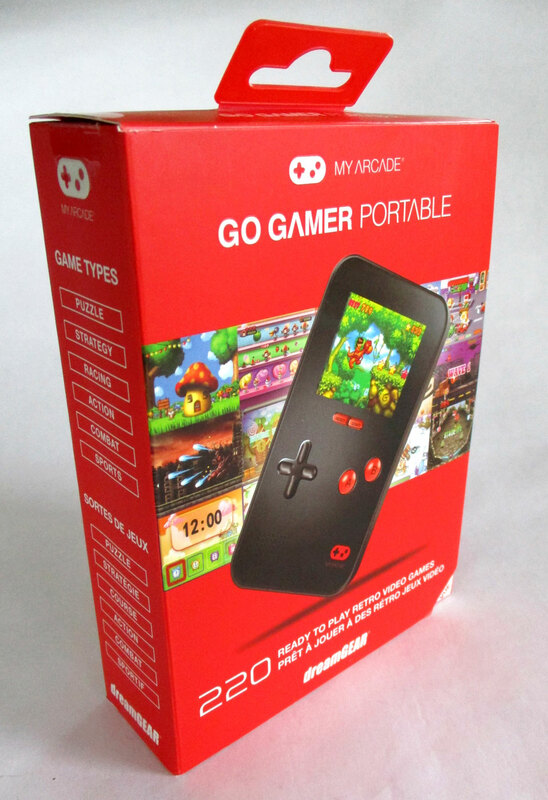 The Go Gamer Portable uses 3 AAA batteries and has no A/C option.